Artur Pawlowski. Street Church. Are these names ringing a bell? Depending on your theological convictions, they may be actually sounding an alarm. Many Canadian Christians already know about brother Artur’s “evangelistic escapades” in Calgary, Alberta, over the past six years—actions which have lead to his repeated injunctions, fines, and arrests. A recent National Post article gave him national (and international) attention as he voiced his frustration over the treatment he’s received from police versus that of the Occupy movement protestors. 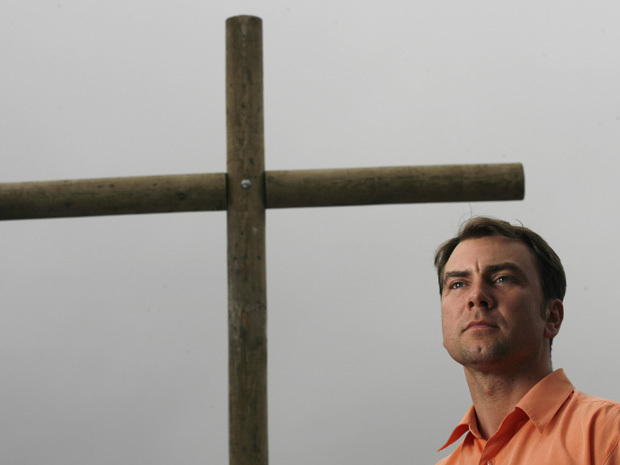 Though this article is not in an endorsement of Artur’s ministry, it seems that he and I do share something in common: persecution for our faith right here at home. As a minister of the Gospel, I too have been forced from street corners and threatened with arrest by local law enforcement. I have also been sucker punched while preaching open air. Doing spiritual battle always carries a cost…even when the mission field is right here in Canada. But how does a good soldier of Christ Jesus both tactically and tactfully please the One who enlisted him, effectively reach out to the lost, sincerely respect authorities, and do so all without compromising the core Truth of the mission? After years of experience, I have come to believe that biblically and culturally balanced street ministry in North America may be best modeled after what have been called the “three worlds” of Paul the Apostle. The Cross Current (TCC) equips local missionaries to preach the Gospel specifically in the context of our increasingly complex North American culture. TCC’s training is based on the ministry demonstrated by Paul the Apostle. As an evangelist to the Gentiles, Paul has been appropriately called the “man of three worlds” – an expert in the Scriptures, false beliefs, and rights of Roman citizenship. This “tripod” of training expertise enabled Paul to be a fruitful and faithful witness predominantly in the context of a Greek (Acts 17) culture, much like ours today. First, street ministers need to accurately apply the Scriptures. As a Jew, Hebrew of Hebrews, and former Pharisee (Phil. 3:5), Paul was masterful in his handling of Scripture in both evangelism and discipleship. As faith and regeneration come only by God’s sovereign grace through hearing His Word (Eph. 2:8-9; Rom. 10:17; 1 Pt. 1:23), street ministers must resist the pull towards pragmatism and “culturally relevant” preaching by constantly placing their trust in the power of the foolish preaching of the cross. Second, street ministers need to biblically defend against false belief systems. As a Greek thinker, Paul demonstrated exceptional dexterity in boldly confronting the false belief systems of his day with the truth of Christ, yet always doing so with sensitivity and diplomacy (Acts 17). As ones called to bear witness to exclusive Truth amidst an academically charged culture steeped in philosophical/religious pluralism, street ministers must develop an appropriate balance of both presuppositional and evidential apologetics. Granted, while the first two aforementioned Pauline “worlds” are hopefully very obvious to today’s street ministers, it’s been my experience that the third is rarely (if ever) explored. And that is that street ministers must know how to legally leverage their rights as citizens. In several instances, Scripture testifies to how Paul’s timely appeal of his Roman citizenship not only spared him further persecution, but also furthered His God-given mission of evangelizing the Gentiles (Acts 16:37; 22:25). Undoubtedly, this vital component of Paul’s public preaching ministry is the most often overlooked. 1) Understand that the Charter of Rights and Freedoms only protects you against GOVERNMENT ACTION. In other words, it protects you against a police officer if he stops a preacher from expressing a biblical message, but NOT against one’s employer. 3) Understand that one’s section 2(b) freedom of expression is content neutral but may involve form restrictions (by way of municipal by-laws). That the freedom of expression is “content neutral” means that a court will not be prejudiced against any expression based on its meaning. However, the law may state how and when you are to express your views. For example, a government agent cannot say to you: “You are forbidden to mention the name of Jesus in a public place”. But that agent may say to you: “You are forbidden to use a bull horn in a residential neighborhood between the hours of 7pm and 7am”. 4) Understand that Section 319 of the Canadian Criminal Code legislates against hate speech. Generally, “hate speech” occurs in two scenarios: (1) something is uttered in a public place that incites hatred against any identifiable group that leads to a breach of the peace or (2) a statement is uttered, other than in a private conversation, that willfully promotes hatred against an identifiable group. An identifiable group means any section of the public distinguished by colour, race, religion, ethnic origin or sexual orientation. 5) Understand what the “form restrictions” are in your jurisdiction by reviewing your city’s municipal by-laws. These by-laws outline the form restrictions on one’s freedom to express their views, religious or otherwise. Only where these by-laws effectively eliminate one’s ability to be heard will legal remedies (like a Charter challenge) be necessary. 6) Understand that litigating the matter will not be worth the cost unless there is evidence of deep and systemic discrimination. Only consult a lawyer as a last resort, and after you have attempted to use the legally mandated means. 7) Finally, it is recommended that those street ministers who preach and equip others to preach on a regular basis have access to a dedicated Christian lawyer who fully supports your public proclamation of the Gospel. Christian Legal Fellowship is one such trusted source for credible legal council. As soldiers of Jesus Christ, we have not been called to be on parade on the streets of our nations, we have been called to pray and preach on the streets our nations. So hit your knees…do your homework…and then “go”. And by God’s grace, we will prove to be good soldiers who joyfully share in suffering as we bring glory and pleasure to the precious One who enlisted us. 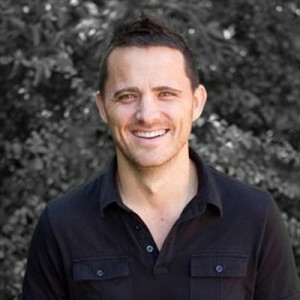 Cory McKenna is founder of The Cross Current, host of TCC Radio and TV, and Pastor of Local Missions at Harvest Bible Chapel London. He has street witnessed and open air preached in many major cities across North America. He is an experienced church and conference speaker who specializes in equipping evangelists and their churches to more faithfully preach the Gospel. Cory and his wife Dawn live in London, Ontario with their two sons, Joshua and Caleb.